Voltage and current levels in electrical engineering is very important. As any electrical system, equipment, devices all are characterized by their different voltage and current levels. Rated voltage designated for a system or equipment. Rated voltage referring to some operating characteristics. Say for a single phase motor the designated voltage is 220 volt as it is connected to a phase and a neutral; for a three-phase motor which is connected to three phases, the designated voltage is 400V. Now say for a protection system to be active, the energizing voltage has to be maintained within 10V to 20V DC- this is an operating characteristic. So 10V, 20V is also a nominal voltage level. Voltage by consideration of the insulation. Highest voltage defined by the manufacturer or recommended by the manufacturer. Electrical system insulation designed as per the voltage. So the highest voltage level will be the voltage which the system insulation can sustain. Also the manufacturer defines some voltage restrictions for a certain electrical system or equipment. These all are highest voltage levels. 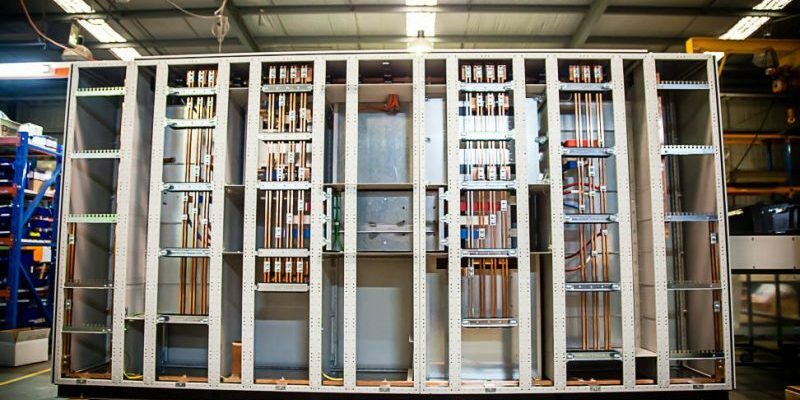 Say an electrical system insulation highest voltage level is 11KV, but the connected electrical equipment highest voltage level is 5KV, as recommended by the manufacturer. The definition of Circuit Breaker: A circuit breaker is an electrical device that is capable of break or make current in both the normal or abnormal (faulty) condition. Make current: is closing the circuit breaker or establishing a connection. While closing the breaker there is high instantaneous non-linear current appears for short duration and the electrical system or equipment has to sustain this. Break current is opening the circuit breaker or dis-engaging an electrical connection. This breaking current might be for normal operation or might be for abnormal/ faulty condition. While breaking current there is some time delay and the electrical system or equipment have to withstand high value of fault current during this short time. If there is delay in breaking a connection while a fault occurred, the circuit breaker contacts might become welded by arc and large amount of heat. R.M.S value of a current that the electrical system or equipment can carry continuously. This is a normal operating current. RMS value of a current that an electrical system or equipment can carry in closed position for a specified short duration such as 1s or 3s. First major loop of the rated short time withstand current which an electrical system or equipment can carry in closed position. For high voltage system rated peak withstand current is 2.5 times of rated short time withstand current. For low voltage system rated peak with stand current is 1.5 to 2 times of rated short time withstand current. rms value of maximum symmetrical short-circuit current in KA, which a circuit breaker shall be capable of breaking. There are two values included in the rated short circuit breaking current-RMS value of the ac component. The percentage of DC component. The maximum peak current the circuit breaker shall be able to close and latch again. This peak value is related to the RMS value of the rated short circuit breaking current, frequency and time constant. As per ANSI/IEEE rated short circuit making current is also referred to as closing and latching capability. Ism=-2.7*Isb, at both 50Hz and 60Hz, t=45ms.